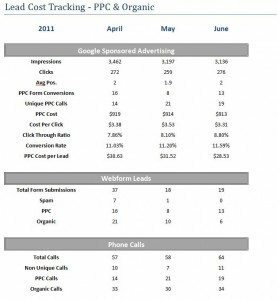 Using Call Tracking with Sponsored Advertising – Know Your True ROI! 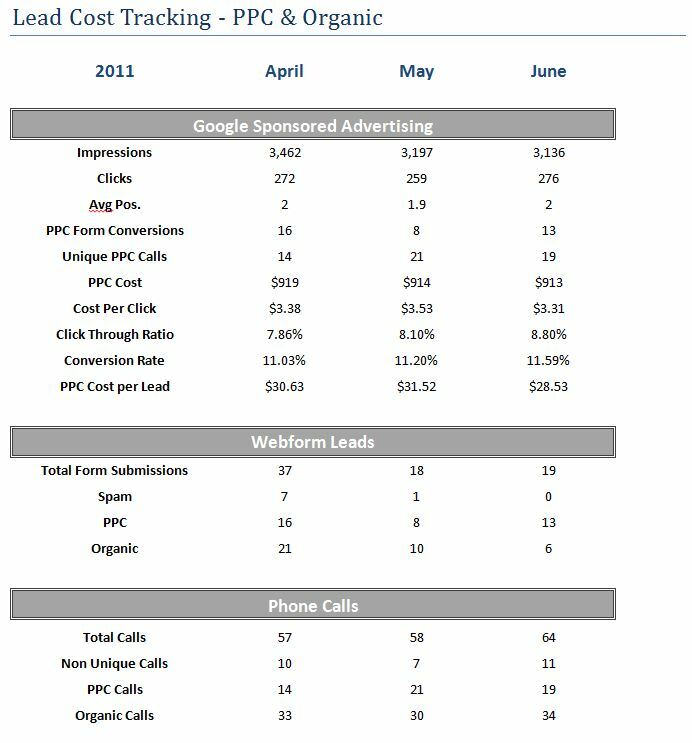 Although we haven’t added the details to the site yet, we have amazing call tracking capabilities that can tell you when someone calls you that they found you on the sponsored search (it will whisper Internet Lead to you on the call), and at the end of the month tell you how many sponsored advertising calls you got vs. the organic search results. This goal tracking enables you to actually calculate your cost per lead, and/or cost per acquisition for a detailed ROI analysis. Look at this image to see the breakdown. When you know how many calls and lead forms you obtained, conversions, then you can divide the sponsored advertising cost by that number to see your cost per lead. Then you apply your closing rate to determine your actual cost per new customer.